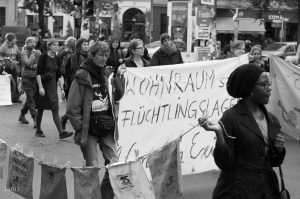 Zu dem Thama ‚Frauen in Kriegs- und Krisenzeiten‘ fand das gemeinsame politische Frauenfrühstück der DGB-Mitgliedsgewerkschaften statt. 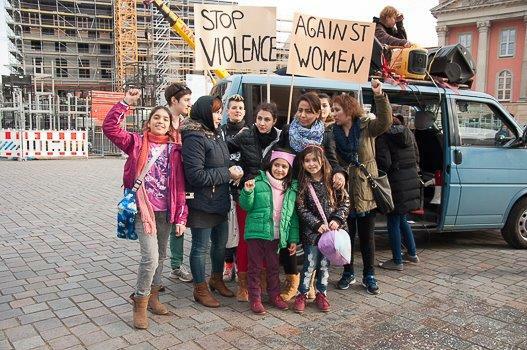 Two of the founding members of “Women in Exile” and their siblings waiting for the demo to start. 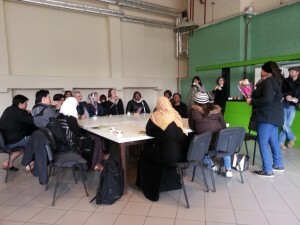 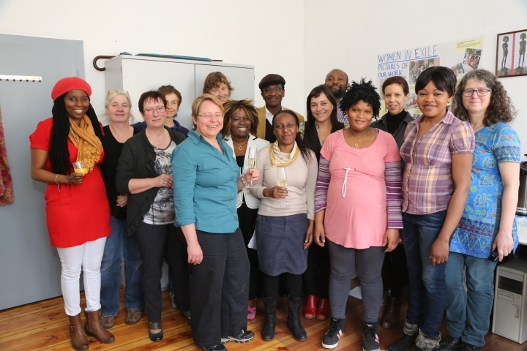 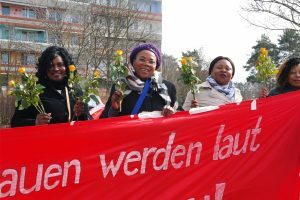 “Women in Exile” is fully supporting the refugees in Hennigsdorf, especially the women, URI and all the groups involved in the Gutscheinboykott in Hennigsdorf. 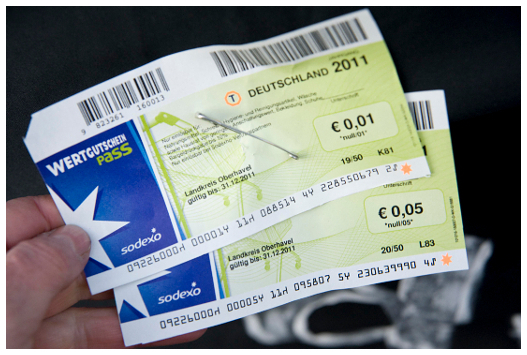 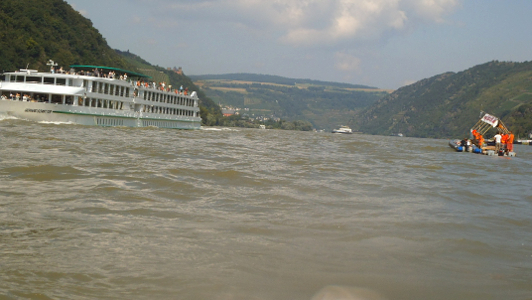 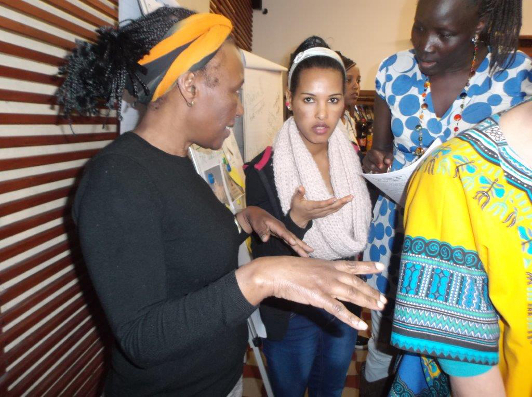 Women and children suffer more from the voucher shopping system because they need some specific items which the “Gutschein” is not entitling them to buy. 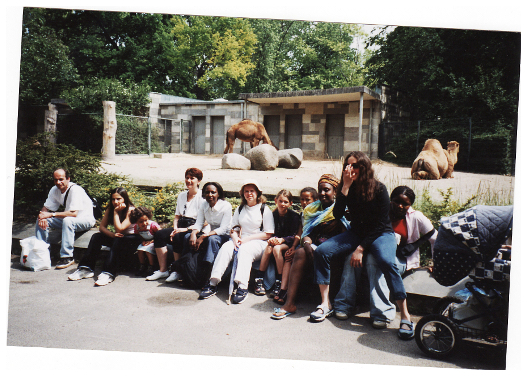 An opportunity to get outside the Heim is always welcome and a visit to the Zoo brings such joy not only to the children but to the adults as well. 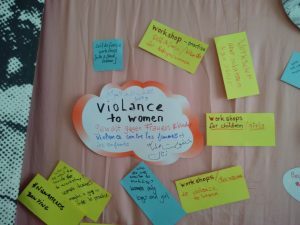 It is a rare occasion, “Women In Exile” organises such events through their supports during summer vacations to enable the women and children to break the monotony of their Heim lives which have driven many of them to depression and other unexplained ailments. 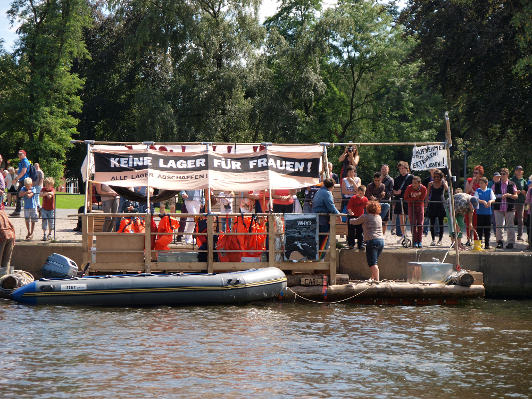 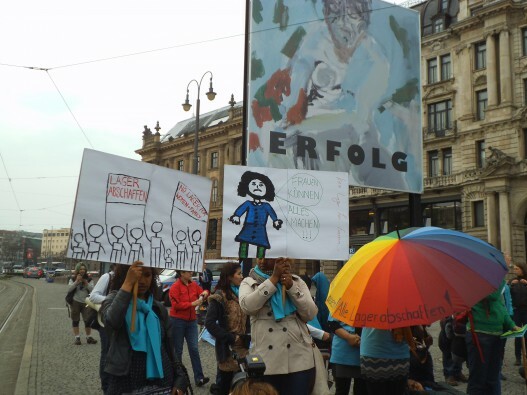 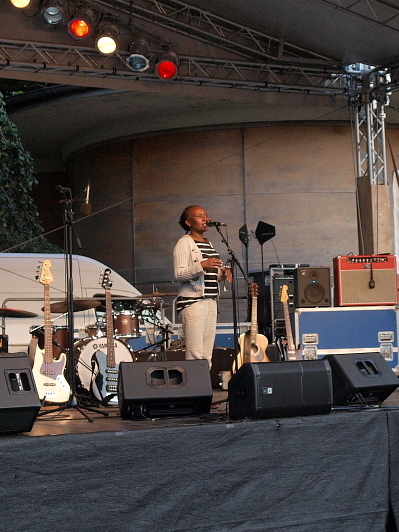 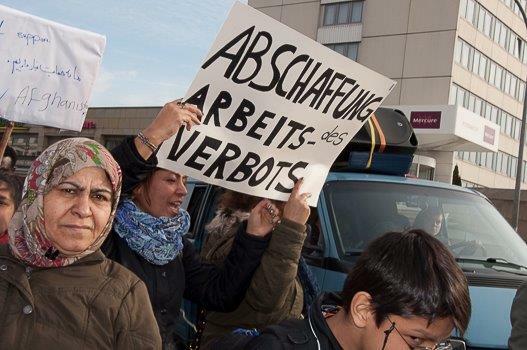 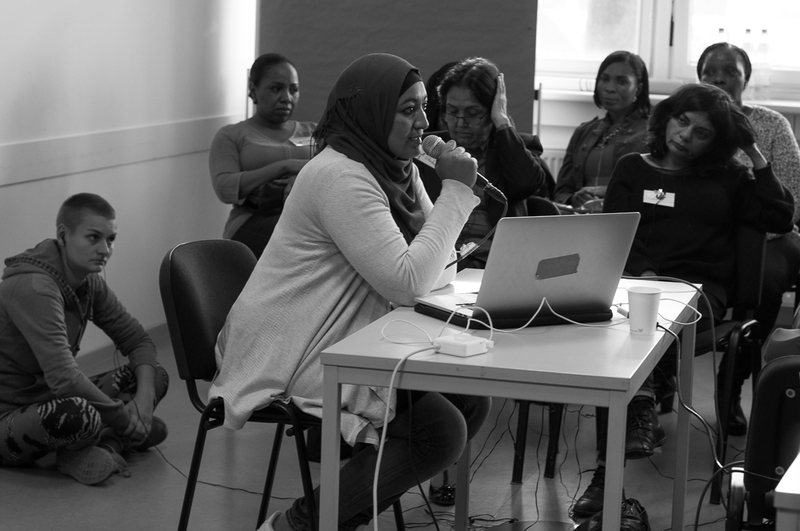 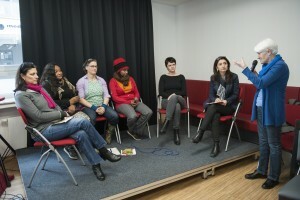 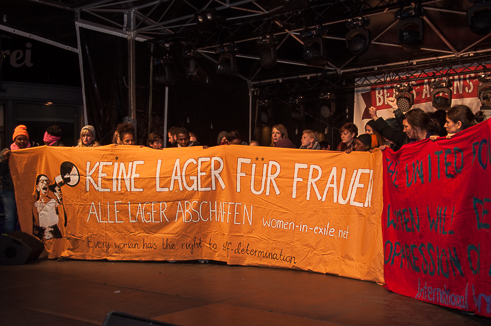 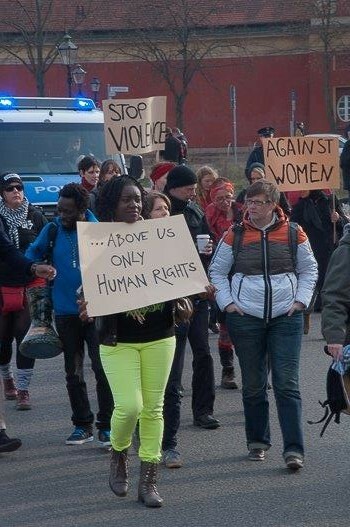 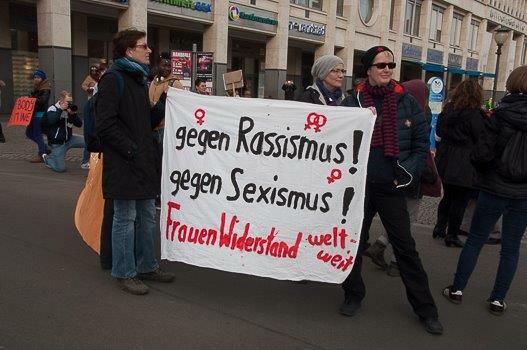 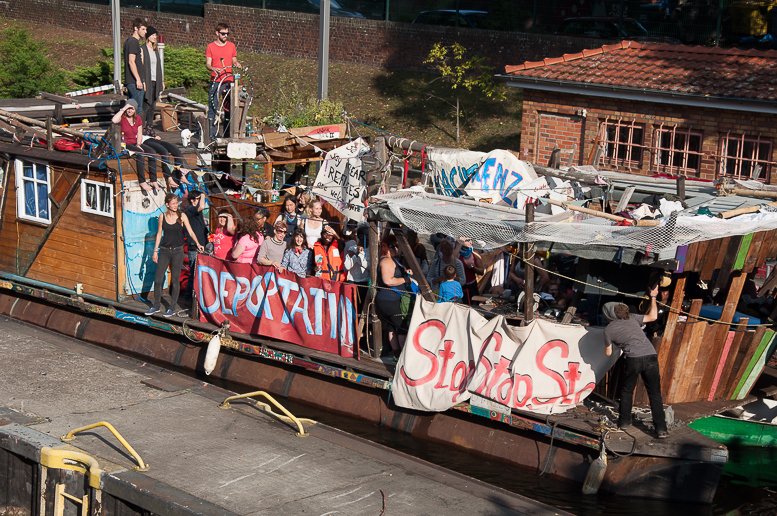 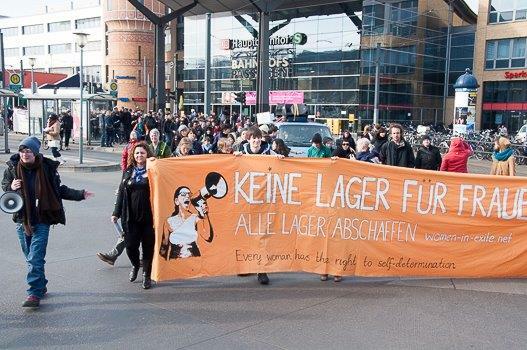 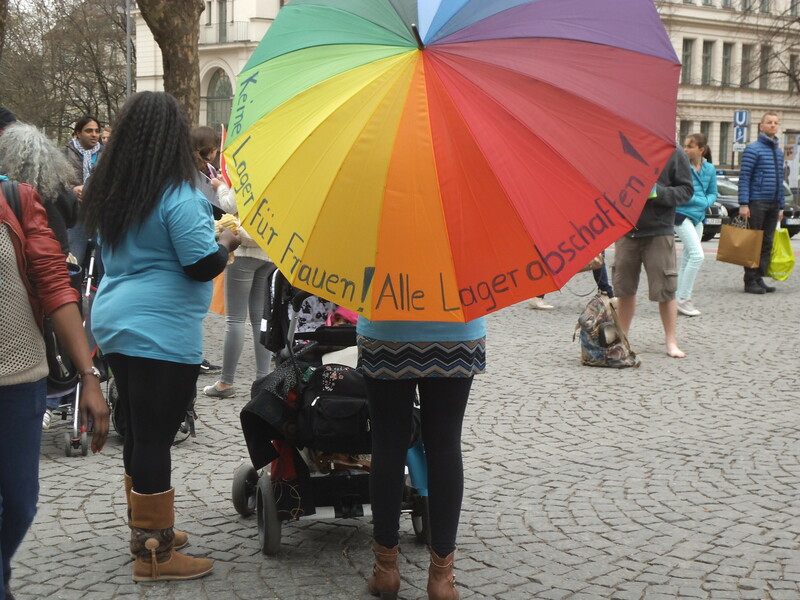 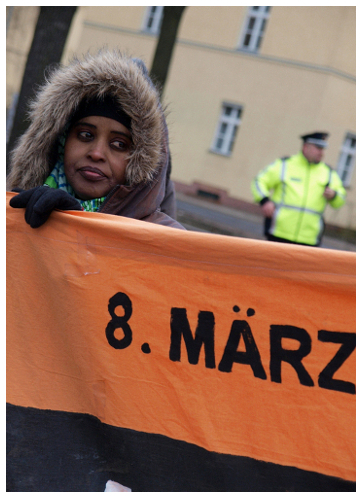 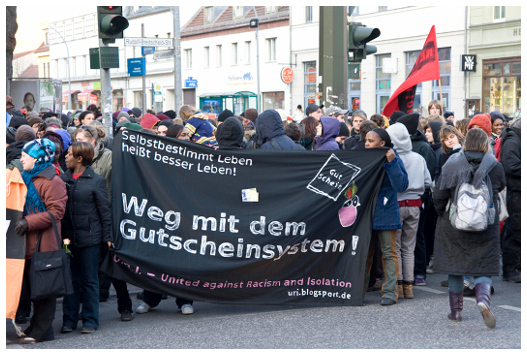 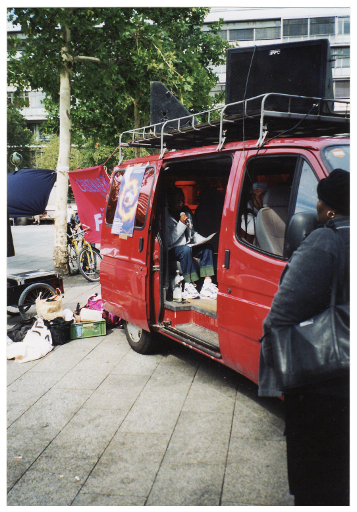 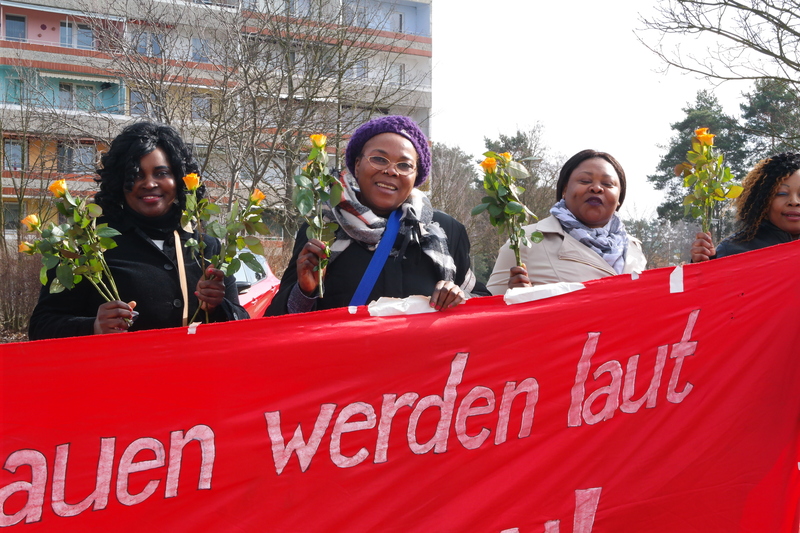 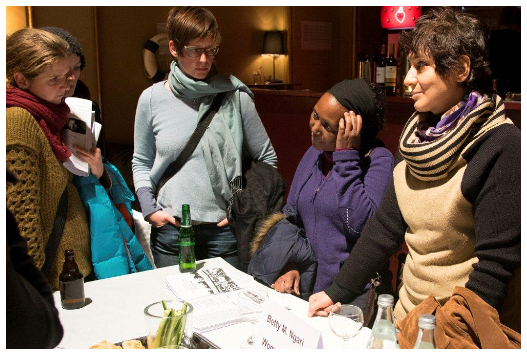 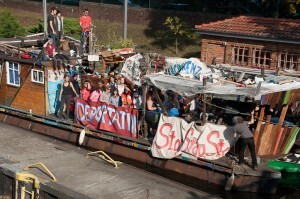 Women in Exile works closely with groups fighting against racist laws imposed on asylum seekers as portrayed in this picture in one of such protest actions in Berlin. 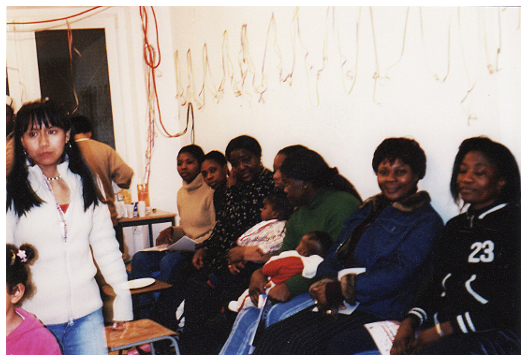 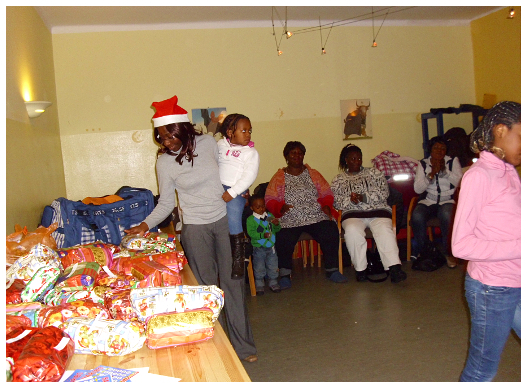 After one of our monthly meetings in the Heims, women and children sit together to enjoy a meal prepared by some of the women of the Heim before the ones coming from other Heims can travel back to their respective Heims.